Daman and Diu is the second smallest Union Territory nestled on the west coast of India. These twin towns were under the control of the Portuguese for over a period of 450 years. Daman and Diu is home to spectacular forts, massive cathedrals, and other architectural wonders of the colonial era. Daman and Diu is also rich on natural wonders. The pristine white sand beaches, favorable climate and scenic locales form a confluence with the serene surroundings. Daman and Diu is a sought after destination for adventure lovers and nature enthusiasts alike.Daman and Diu experiences a pleasant weather throughout the year. The summers bring in blissful breeze from the Arabian Sea. But October to May is considered the best time to visit the wonderful twin towns of Daman and Diu. Daman and Diu is a treasure trove of colonial architecture and the essence of the place is reminiscent of its colonial past. One of the must visit places on your trip to Daman & Diu is the St. Georges Fort which is also famously called the Diu Fort. Built in 1535 when the Portuguese forged an alliance with Bahadur Shah, the Sultan of Gujarat when The Mughal Emperor, Humayun waged war to annex the territory. Considered one of the greatest examples of Portuguese architecture, The Zampa Gateway is one of the most visited places in Diu. The Portuguese Fort, The Diu Museum, and St Thomas’ Church are other noteworthy places you could visit in Diu. Diu is also full of natural bliss. The virgin Chakratirth, Nagoa, Jallandhar and Goptimata beaches of Diu are not as crowded as Goa and also offer water sports to adventure enthusiasts. The Naida Caves in Diu are also a must visit on your travel to Daman & Diu. 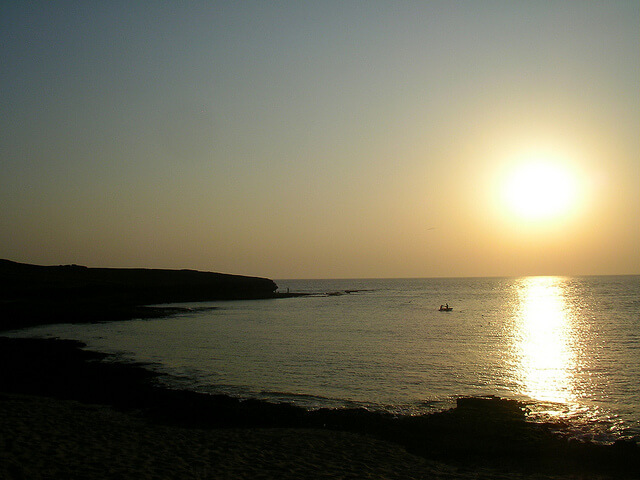 Daman is as popular as Diu when it comes to travelers and Daman has its own list of attractions too. Beaches like Jampore beach and Devka beach are sought after. Daman also has Old Portuguese forts and churches. Moti Daman, Church of Bom Jesus, Nani Daman, Dominican Monastry, Chapel of Our Lady of Rosary and St Paul’s Church are noteworthy. Daman boasts of many gardens that are a delight. Satya Sagar Udyan, Kadaiya Lake garden and Gandhi Park are a must visit. Make sure to visit the Light House and Mirasol Amusement Park at Daman Jetty is also a must visit when in Daman and Diu. If you are an adventure lover and nature enthusiast, then Daman and Diu is a sought after destination for you. Plan your trip now!